I have an entire page dedicated to columns that mock the evils of socialism and communism. 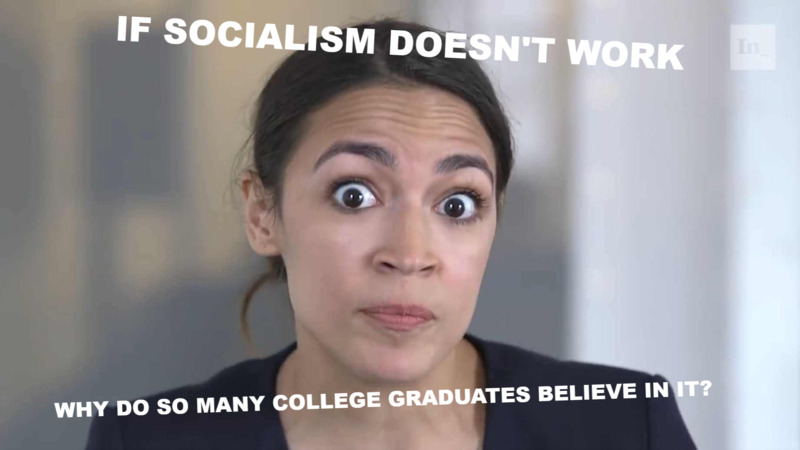 But we may need a special section for Congresswoman Alexandria Ocasio-Cortez and her vapid – yet earnest – smiley-face statism. I’ve already shared some AOC humor, but only incidental examples while making other points. Today, the entire column is dedicated to the younger version of Crazy Bernie. We’ll start by mocking things she has actually said. Our first item is self-explanatory, at least for anyone with a passing familiarity with 20th-century history. Our next example captures her utopian statism. Just think Green New Deal. I don’t believe this next example is an exact quote, but she is a rabid climate alarmist (though hopefully not this extreme or this extreme) and did say something about time running out, which makes this next bit of satire rather amusing. Though we should already be boiling to death according to some of Al Gore’s fevered statements, so you can probably still make long-term plans. 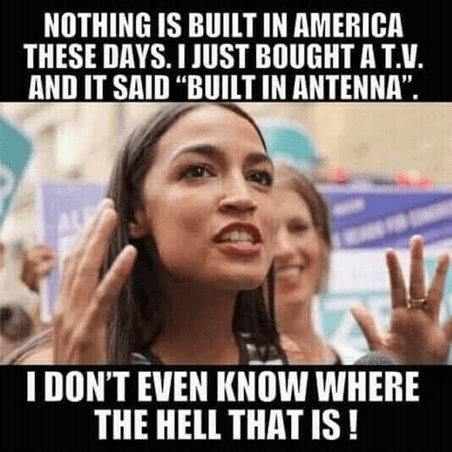 AOC is also amazingly ignorant of America’s system of government (probably on purpose since I’m sure she would be horrified about the views of the Founders), though this doesn’t stop her from pontificating on the topic. Some people say we shouldn’t be giving AOC so much attention. I disagree. Her ideas are so nutty that she presumably helps ordinary people realize that big government is a bad idea. Kimberley Strassel of the Wall Street Journal agrees that her radicalism will backfire on Democrats. The Republican Party has a secret weapon for 2020. 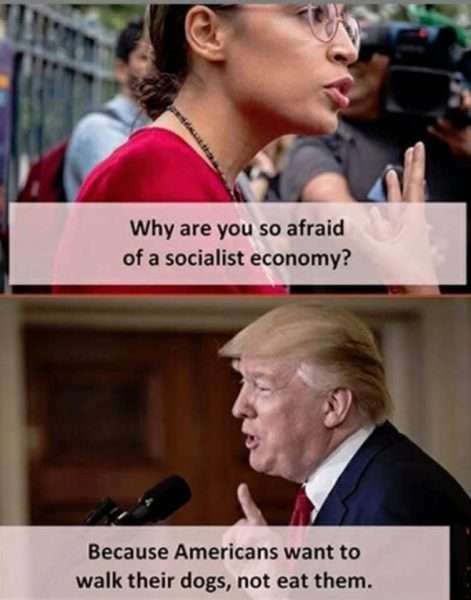 It’s especially effective because it’s stealthy… All Republicans have to do is sit back and watch 29-year-old Rep. Alexandria Ocasio-Cortez… In a few months she’s gone from an unknown New York bartender to the democratic socialist darling of the left and its media hordes. …Republicans don’t know whether to applaud or laugh. Most do both. …what’s not to love? …She’s made friends with Jeremy Corbyn, leader of Britain’s Labour Party, who has been accused of anti-Semitism. She’s called the American system of wealth creation “immoral” and believes government has a duty to provide “economic security” to people who are “unwilling to work.” …Ms. Ocasio-Cortez unveiled her vaunted Green New Deal…which AOC is determined to force a full House vote. That means every Democrat in Washington will get to go on the record in favor of abolishing air travel, outlawing steaks, forcing all American homeowners to retrofit their houses, putting every miner, oil rigger, livestock rancher and gas-station attendant out of a job, and spending trillions and trillions more tax money. Oh, also for government-run health care, which is somehow a prerequisite for a clean economy. …The Green New Deal encapsulates everything Americans fear from government, all in one bonkers resolution. 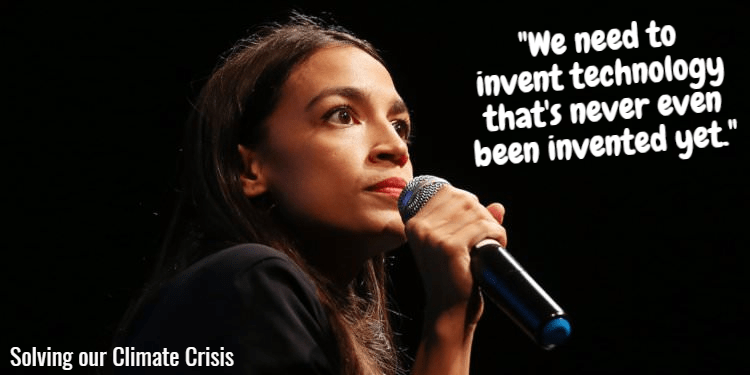 …AOC may not prove able to eradicate “fully” every family Christmas or strip of bacon in a decade, but that’s the goal. …Ms. Ocasio-Cortez is a freight train gaining speed by the day—and helping Republicans with every passing minute. Now back to having some fun. Let’s look at two made-up quotes, both of which are very amusing because you could easily imagine her making these statements. 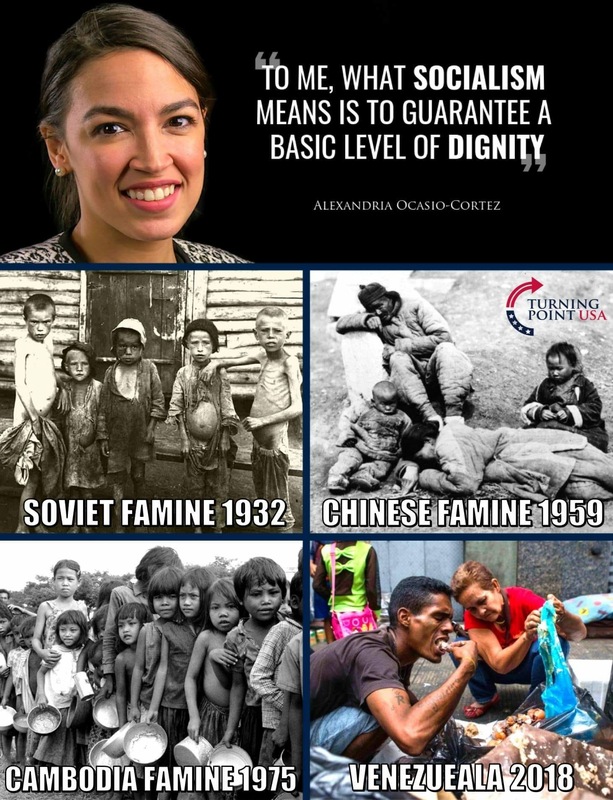 We’ll start with her proof that socialism is successful. And here’s a made-up observation about trade policy. Actually, I don’t recall her supporting protectionism, so it’s possible that there may be an issue where she actually is on the side of economic liberty. As we begin to wrap up, here’s a satirical video that’s been circulating. Enjoy. Last but not least, I don’t know if she actually said this next statement, but I’m including it because it made me laugh (though since Venezuelans are eating zoo animals and household pets, I realize it’s not funny in real life). I also wish the creator of this meme used somebody other than Trump. After all, he’s also guilty of supporting some big-government policies, so he’s hardly the best person to throw stones at socialism since he’s in a house that’s part glass. But let’s not get hung up on technicalities. I’m for good political satire, even if I don’t agree with the message.